Jonathan Bender's new book explores the magic of pairing cookies with beer. I was in college the first time I chased chocolate cake with beer. I loved how the two complemented each others' caramel and malty flavors, and the combination quickly became one of my favorites; over the years I experimented with all sorts of dessert and beer pairings. So I was excited when Jonathan Bender’s new book, Cookies & Beer, landed on my desk recently. Like me, Bender appreciates the perfection that is warm chocolate cookies and milk stout (I’m also a big fan of brown ale, like Ellie’s from Avery Brewing, with chocolate chip cookies). The book includes recipes for 40 cookies—each of which is accompanied with a recommended beer pairing—plus a handful of extras for non-cookie desserts. Bender integrates beer as an ingredient in several of the desserts, such as a beer syrup for milkshakes and a carrot cake-inspired cookie made with Bell’s Two Hearted Ale. The recipes, which he collected from talented chefs across the country, will have you trading in the customary glass of milk for a frothy milk stout in no time. 1. Ginger cookies from Megan Garrelts of Bluestem in Kansas City and Goose Island Harvest Ale. The beer’s light fruit notes and malt are great counterparts to the cookie’s spice. 2. Pecan Sandies from Amy Emberling of Zingerman's in Ann Arbor, Michigan and Founder's Brewing Co. Porter. Porters have a great way of enhancing the sweet and salty notes in the cookie without throwing off the balance of the contrasting elements. 3. Chocolate Almond Coconut Macaroons from Steven Satterfield of Miller Union in Atlanta and Mavery Brewing Co.'s The Reverend. The simplicity of the cookie plays off the complexity of the beer. You'll taste some dark fruit in this big beer, which has a touch of sweetness and an easy finish. 4. Nana's Molasses Cookies from Roshi Muns of Society Bakery in Dallas and Sierra Nevada Brewing Co. Pale Ale. The beer and cookie share a delightful creaminess, while the citrus notes in the beer cut through the richness of the molasses for a bright finish. 5. Maple Toasted Oatmeal Cookies from Erin Brown of Dolce Bakery in Prairie Village Kansas and Martin City Brewing Company's Robust Porter. 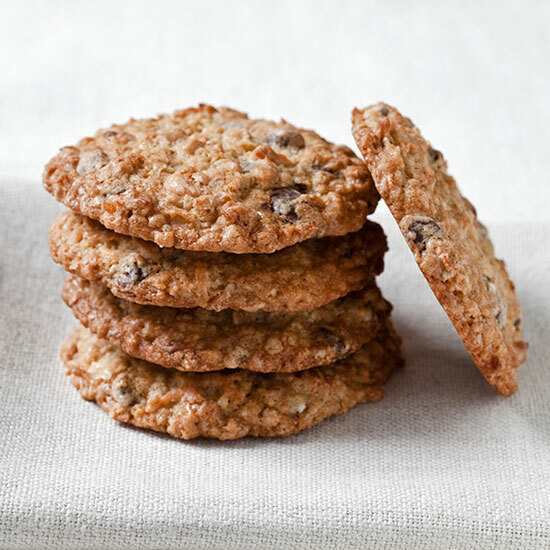 The brown sugar, maple syrup and oatmeal in these cookies are like the best parts of breakfast, while the porter gives you the roasty warmth of coffee. 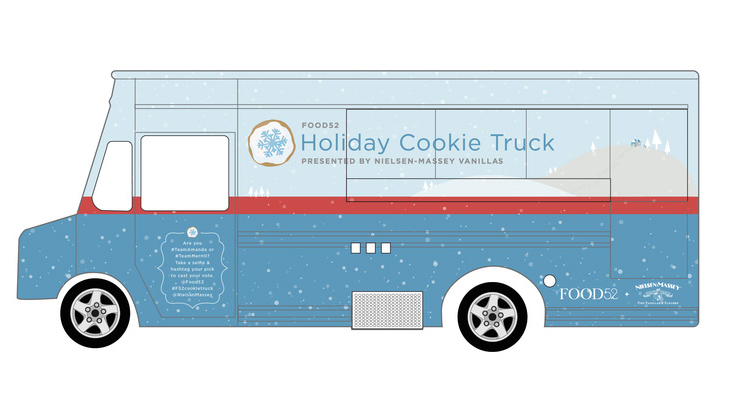 The Cookie Truck is Coming to Town!